EK Water Blocks, Ljubljana based premium water cooling gear manufacturer, is proud to introduce world’s first full-cover water cooling solution for the latest NVIDIA GeForce GTX Titan, the most powerful graphics card to date. 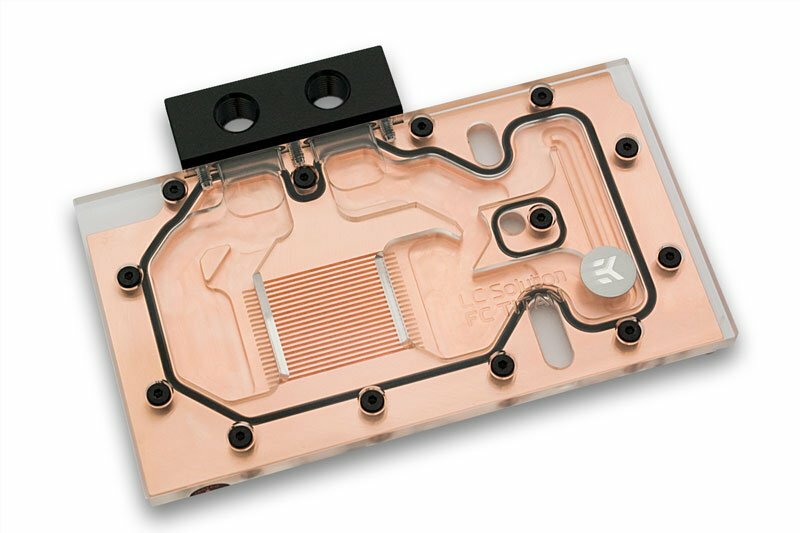 The water block is called EK-FC Titan and has already made it’s debut in ORIGIN PC‘s high(est) end gaming computers. 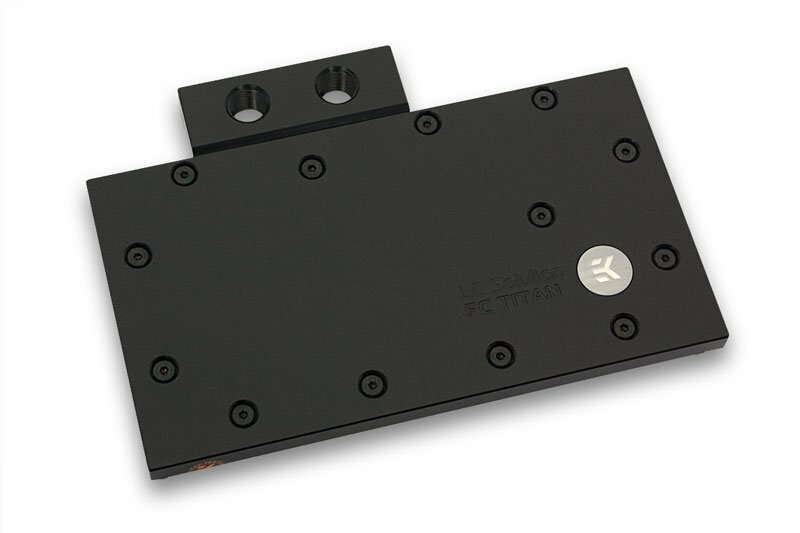 EK-FC Titan is a high performance full-cover water block for nVidia reference design GeForce GTX Titan series graphics cards. 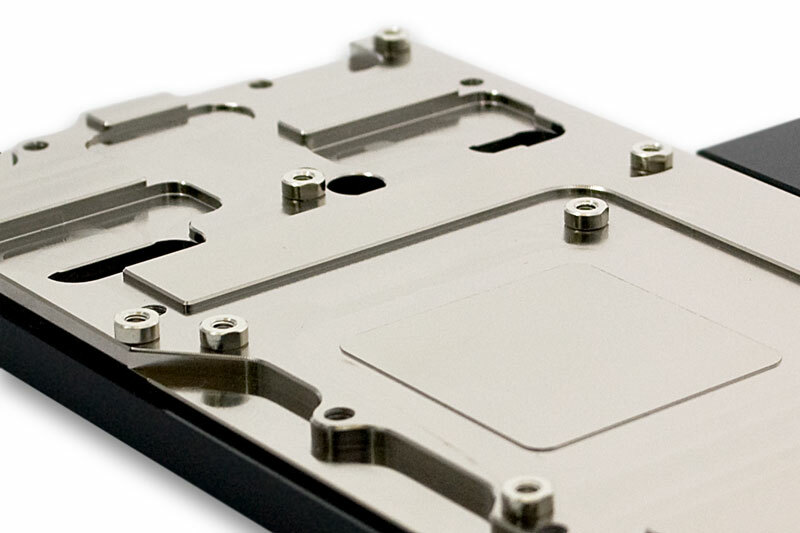 This water block directly cools the GPU, RAM as well as VRM (voltage regulation module) as water flows directly over these critical areas thus allowing the graphics card and it’s VRM to remain stable under high overclocks. 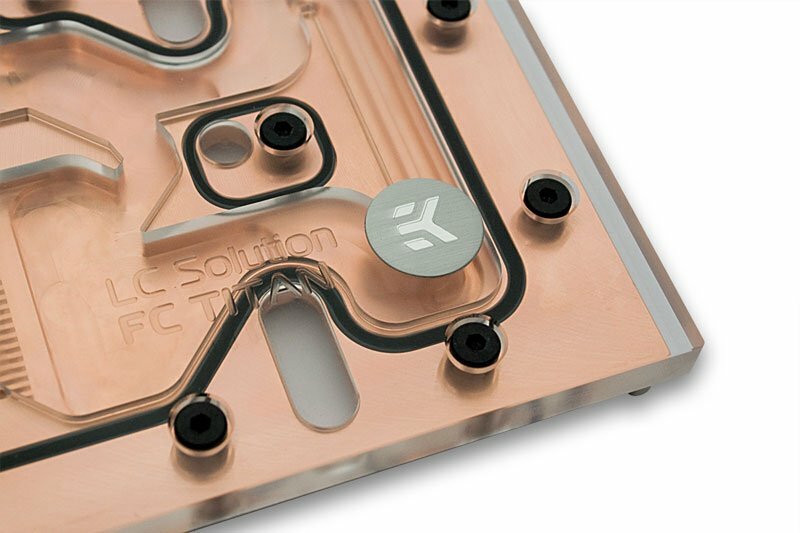 EK-FC Titan water block also features a very high flow design therefore it can be easily used in liquid cooling systems using weaker water pumps. 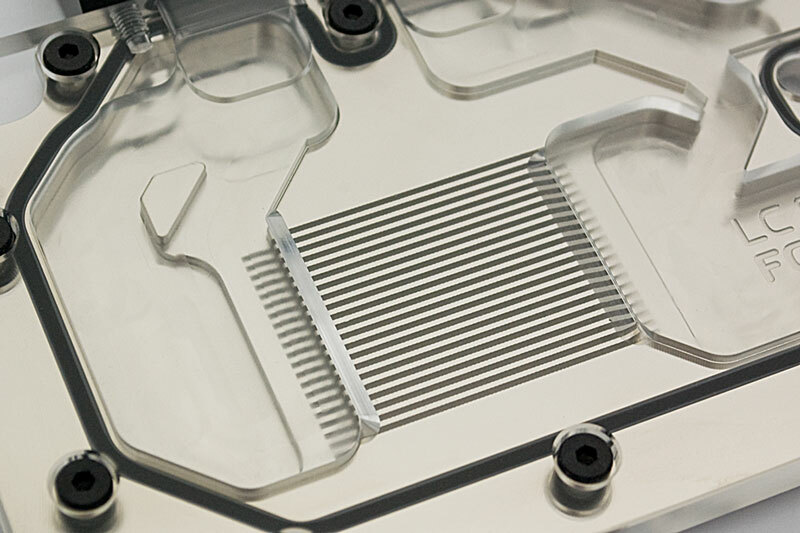 The cooling engine now uses refined, more narrow microchannel structure to even further improve the heat transfer. Base is made of electrolytic copper (bare on nickel plated – depending on the variant) while the top is made of quality cast acrylic material or POM Acetal (depending on the variant). The sealing is ensured by quality rubber washers. Screw-in brass standoffs are pre-installed and allow for safe, painless installation procedure. G1/4" threaded fittings can be used on both sides of the FC terminal. Flow orientation doesn’t matter and is thus not prescribed. 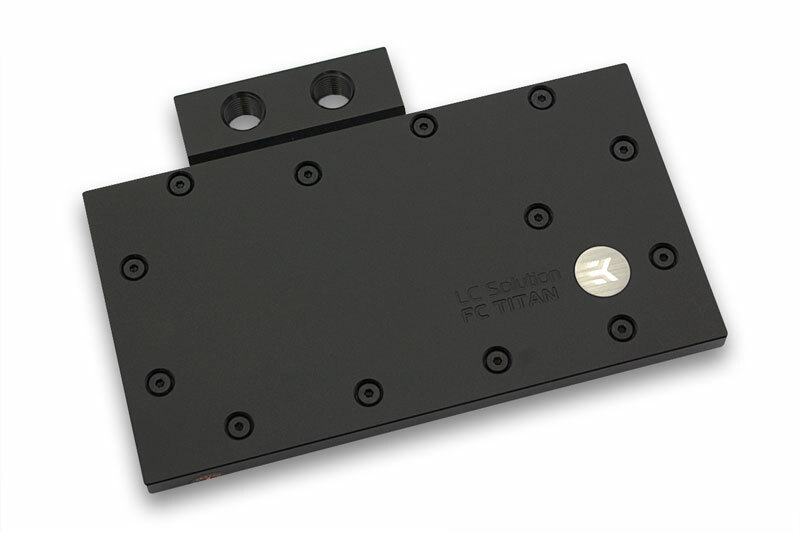 Up to four EK-FC Titan water blocks can be used on a single ATX form factor motherboard by using EK-FC Terminal (DUAL, TRIPLE or QUAD type) system or other means of interconnectivity. 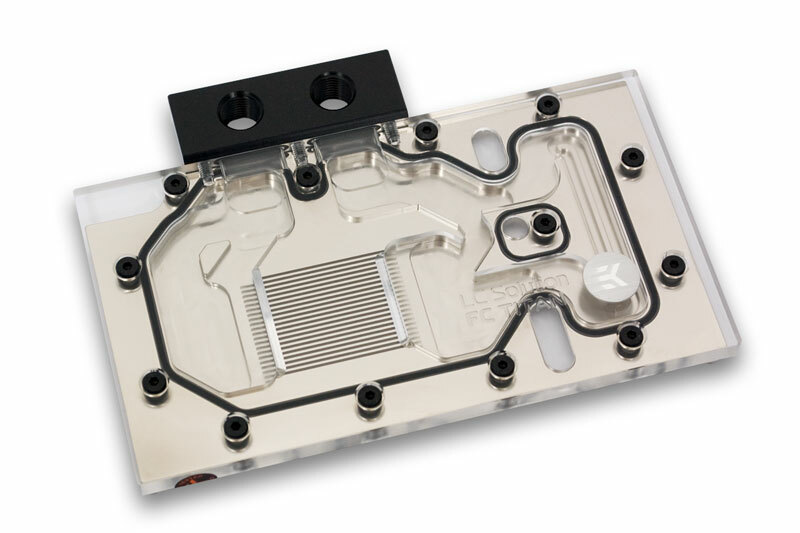 EK-FC Titan series water blocks come with MSRP of 89.95- to 99.95€ (incl. VAT), depending on the variant, and will be available for purchase through EK Webshop and Partner Reseller Network. Shipping starts on Monday, March 4th 2013.